This lovely home for sale in Greenville is ready to be enjoyed by new owners. 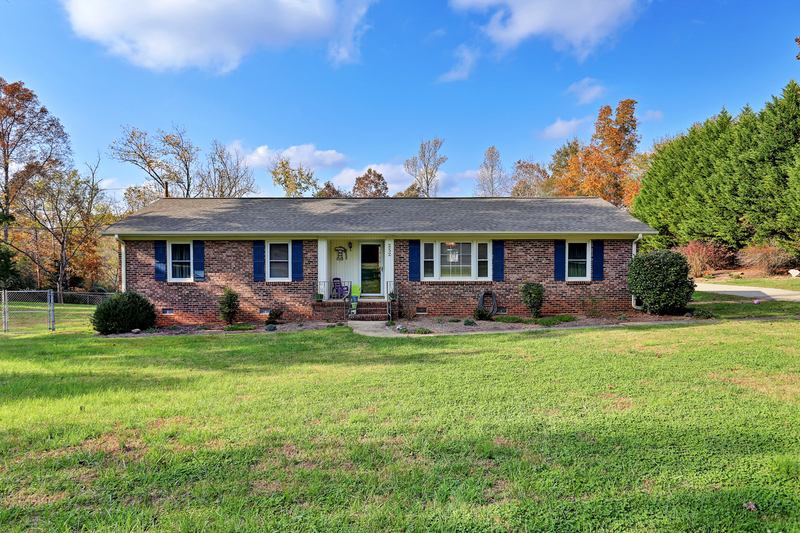 Situated in a great location just north of Greenville, the one-level home itself is sitting on 0.8 acre lot and features 3 beds and 2 baths. This brick home presents a cozy living room and dining room where everyone can converge and join in a good talk. The dining room and kitchen are overlooking the backyard through the sliding doors and windows. The recently updated kitchen features painted cabinets and stunning tile backsplash. The master bedroom features a walk in closet and luxurious tile shower in the master bath. Each of the bedrooms has its own charm. The patio is ideal for outdoor BBQs and outdoor activities. It’s overlooking the expansive fenced yard, lots of space to run! The two-car garage is located at the back with an abundance of storage room. This ranch style home is neat and tidy throughout, ideal for anyone looking for their first home. 252 Old Farrs Bridge Road is located just off of Farrs Bridge Road, a few miles drive to Greenville, major highways, schools, shops, and more. Get in quick and organize a viewing today.